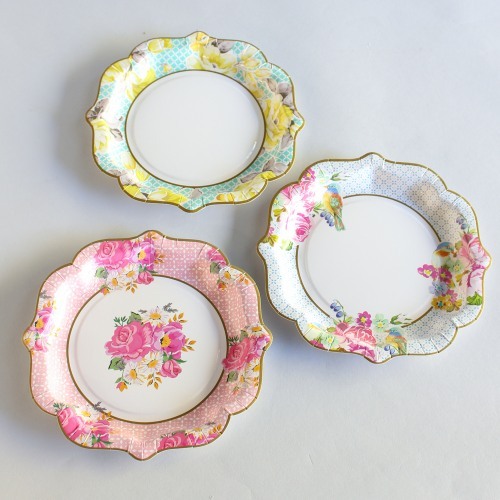 These tea party plates are going to look so pretty at your spring wedding or bridal shower! Each set comes with 12 plates in three different designs that are both floral and colorful. You and your guests are going to love how beautiful and elegant these look!